To read and understand a forex quote, it helps to become familiar with the terminology. 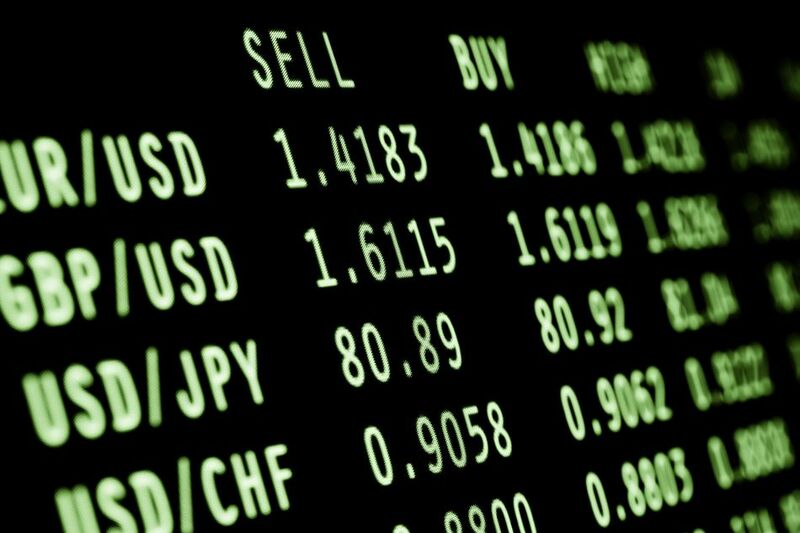 It all starts with a currency pair, which tells you the currencies involved in the trade. In a quote, the currency pair is often followed by a bid and ask price, which will reveal the spread and the number of pips between the broker's bid and ask price. Understanding these terms in a little more depth can help you as you get ready to set up your initial trades. A forex quote always consists of two currencies, a currency pair consisting of a base currency and a quote currency (sometimes called the "counter currency"). These pairs represent the currencies you're trading. The first part of the pair is called the base currency, and the second is called the quote currency. Popular, often-used base currencies include EUR (Euros), GBP (British pounds) AUD (Australian Dollars) and USD (US Dollars). Here, EUR is the base currency and USD is the quote currency. You would translate this pair to mean that one Euro is worth 1.36 US Dollars. No matter which currency is the base currency—whether USD, EUR or any base currency—the base currency always equals 1. The quoted amount, 1.3600 is the amount of the quote currency, USD, it takes to equal 1 unit of the base currency, EUR. The meaning of this hypothetical quote is that 1 USD equals .7352 EUR. If you divide 1 by .7352 the result is 1.36—the two results look different, but the relationship between the two currencies remains the same. Here the bid price is 1.3600, and the ask is 1.3605. Contrary to what you may think when you begin exploring the forex market, a bid price is not the price you'll bid when you want to buy a currency pair. Instead, the two terms are used from the perspective of the forex broker. From the broker's perspective, when you're the potential buyer, the broker will ask for a little more than what he might be willing to bid if you were selling. In the given example, since you're interested in buying EUR, the base currency, you'll pay the ask, the broker's asking price, which is 3.3605. If you were selling, you'd accept the broker's bid, which is 3.3600. If you find these terms initially confusing, it helps to remember that the terms bid and ask are from the broker's perspective, not yours. When you're buying, you'll pay what the broker's asking for the currency; when you're selling, you'll need to accept what the broker's bidding. The difference between the bid and the ask is called the spread. The spread is simply the broker's commission on the trade. the difference between the 1.3600 bid and the 1.3605 ask is 5 pips. The first number, 1.3600, represents the bid price, while the 1.3605 represents the ask price. The spread is the difference of 5 pips.